The new Spyker-owned Saab brand has introduced a handful of new models recently (developed during GM’s ownership) and to add some extra incentive, buyers of the new Saab 9-4x have a chance to score a free Apple iPad. Unfortunately, it isn’t as easy is going into the dealership, buying a Saab 9-4x and having the dealer hand you a new iPad on your way out. Those interested in buying a 2011 Saab 9-4x can sign up on the Saab preorder site right now and come mid-January, your local dealership will get in touch with you to set up a visit to the showroom. While there, you will be able to order an iPad as well as your new Saab crossover, paying $500 (plus tax) for the Apple gadget plus a currently undetermined amount as a deposit for the 9-4x. 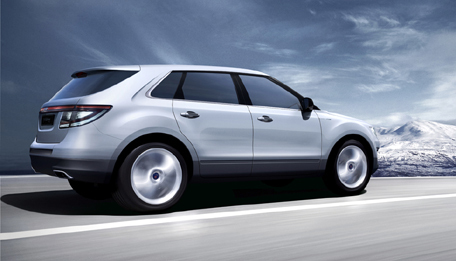 Once you take delivery of your 2011 Saab 9-4x, the dealership will discount the total price of the crossover by $500 and if you decide not to take delivery of the new 9-4x, the dealership refunds your deposit and you get to keep the iPad. This isn’t so much a free iPad as it is a $500 rebate off of a new Saab 9-4x when you buy a 16GB iPad through your local Saab dealership but in any case, the preorder website for the 2011 9-4x is live and if you want a new Saab and a new iPad – click below for your chance to kill two birds with one stone.